Like the biggest event in Cricket in World Cup that takes place ever 4 year the biggest event of WWE is called WrestleMania that takes place ever year. 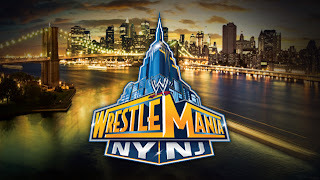 This year on Sunday 7th April 2013 the WrestleMania 29 is going to take place in MetLife Stadium of New Jersey. WrestleMania 29 will take place on Sunday night. all the tickets for the event are already booked. Millions across the world are also waiting to watch it Live on TV. lot of people will also be watching it on their Mobile Phones with WWE app. i am also very excited for this biggest event of WWE.